What an incredible healing experience for 10 lung cancer survivors plus the all-survivor hostess team and amazing wellness instructors at the Lung Cancer Survivors Retreat on September 21-23 at the Statesview Hotel in Raleigh! We gathered for three days, sharing deeply, exploring a myriad of wellness and stress reducing techniques, and laughing lots! When asked what was their favorite activity, they almost universally said ALL OF THEM! 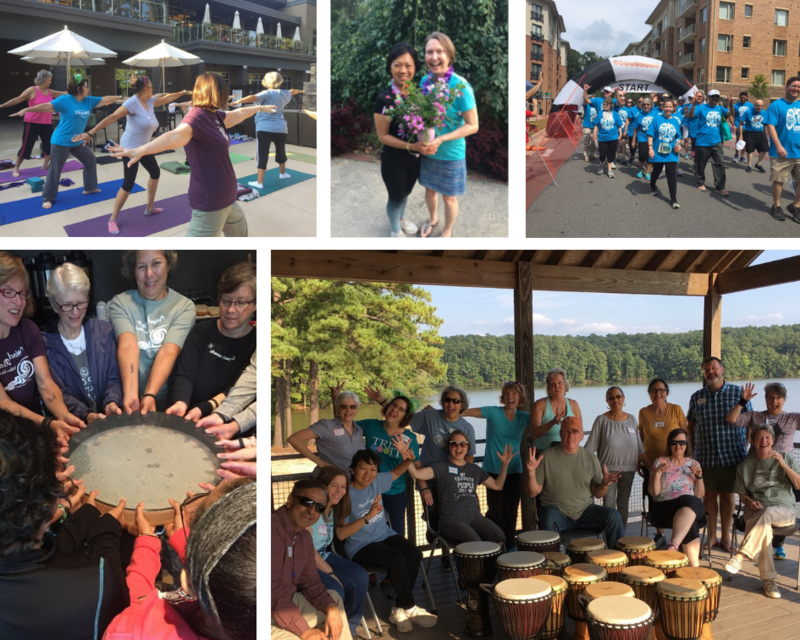 (Granted, it is hard to choose amongst Drumming by the Moonlight, Tai Chi in lush Botanical Gardens, personal Healing Touch sessions, morning Yoga, Nutrition talks and Sharing and Connecting with fellow Lung Cancer Survivors). Thank you again to the Lung Cancer Initiative of NC for your LCI access grant supporting this retreat!